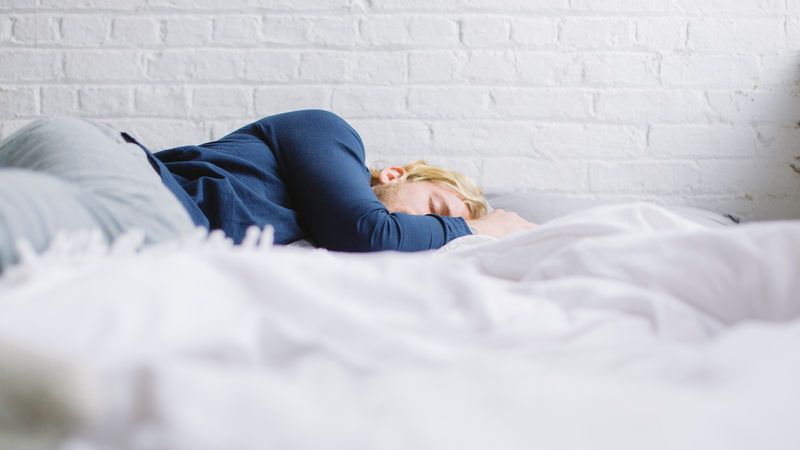 We know that getting enough sleep is incredibly important to keeping us healthy, well-rested, and thriving in our day-to-day lives, but did you know that when you sleep might be just as important as how much you’re getting? 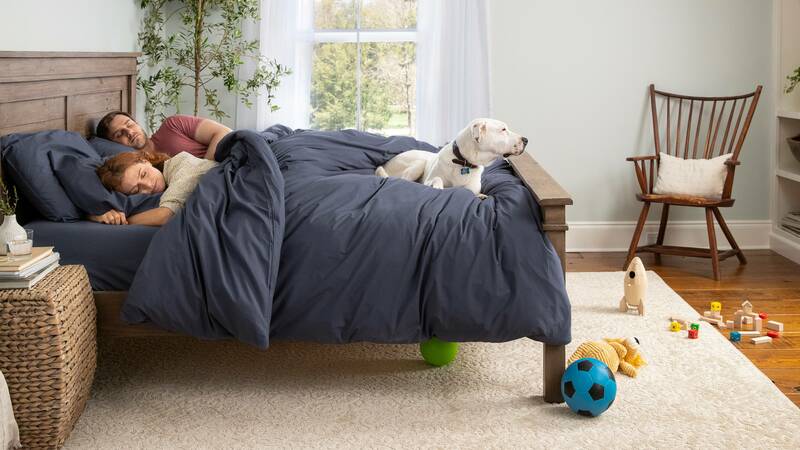 Setting, and sticking to, a healthy sleep cycle involves a bit of math and some serious commitment, but understanding how your body works at night can set you up for some major sleep success. Why should I get 8 hours of sleep? Most of us know that eight hours is the magic number, but most of us have no idea why. It sounds extreme, but research has learned that missing out on even one hour of sleep a night can significantly increase your risk for serious health conditions—people who sleep less than six hours a night are 12% more likely to die prematurely. Knowing that this is the case, seven to eight hours of sleep every single night seems to be the sweet spot for getting truly restorative and beneficial sleep. This makes sense when you break down how our sleep cycles work. Typically, five full sleep cycles per night is considered ideal to get that refreshed, well-slept glow in the morning. Most sleep cycles last about ninety minutes, so seven and a half to eight hours is the perfect amount of time to get each of those phases in and make sure you aren’t skipping out on important aspects of your sleep-wake cycle. Sleep cycles are broken up into four distinct phases within a full cycle—three Non-REM phases followed by one REM phase, making up about a ninety minute cycle. This phase typically lasts only about five to ten minutes, characterized by that drifting off feeling. You might experience hypnic jerks, hallucinations of movie shapes, and that weird “Am I falling?” moment before you finally fade into the next phase. As you drift off, you transition into a phase of light sleep with each phase lasting about ten to twenty-five minutes. Your breath rate, body temperature, and brain activity all lower while in this phase, preparing you for the next phase. Your brain activity, breathing, and body temperatures hit the lowest point they’ll reach all night in deep sleep, which lasts about twenty to forty minutes. Waking from this stage suddenly can leave you feeling extremely groggy, and even cause you to experience sleep walking, sleep paralysis, and a host of other weird sleep parasomnia. This is the phase where your body does the most repair work on your immune system, and is incredibly important to get a decent amount of in order to feel good when you wake up. Before settling into REM (Rapid Eye Movement) sleep, you may switch back into N2 for a few moments. REM sleep is when you dream, creating activity in your brain. Each REM phase you hit throughout the night gets progressively longer, with your final REM phase being the most intense. You usually return to light sleep or even drowsiness after, which is why sometimes you wake up late at night, but usually fall back asleep. You may not even realize you woke up! How do I calculate when to go to bed? With everything we just learned, we know that calculating when to go to bed can be pretty simple—working backward from when you need to wake up, give yourself eight hours to get your full sleep cycle in. You can start to relax and unwind a bit before, but you should try to establish a routine for the best results. Your body relies on external cues like lighting to prep for sleep, but if you can set a night time routine that’s personalized to you and gets you in the right state of mind for sleep, you’ll find that over time you’re falling asleep easier and staying asleep longer. Removing technology an hour or two before bed, taking a warm bath or practicing a skin care routine, doing low-impact yoga, or reading a book can all be great parts of a routine that you find not only helps you sleep but positively impacts other ares of your life.